Surprise!!! Little Outrageous Little Surprise dolls is just being a hit now. These collectible mini baby dolls come in blind packaging, and with each layer you unwrap, you’ll discover something different! Uncover a lot of dolls and celebrate your next birthday with our free printable LOL Surprise invitation templates. 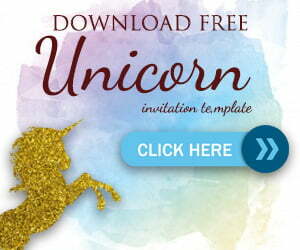 This invitation templates is perfect for girl birthday party with Surprise birthday theme. We have a lot of LOL Surprise birthday invitation templates to choose, but, here are some of the best of them. Coming in JPG files and measures 5×7″, you can easily grab the invitations by download it. You can watch how to customize the invitation on the menu above. The Online Invitation Tutorial will help you to customize it online. How to Download this LOL Surprise Template? Simply click on the invitation, the Save the image as. Don’t worry, this invitations comes in high quality image. After that, you can start editing the invitation using Microsoft Word or Adobe Photoshop. If you’re able to operate graphic software like Photoshop or Coreldraw, then everything will be so much easier. Add some text about your party. If you can’t operate them, simply go to your nearest print shop and ask them to edit your invitation. Or the simplest way, download, print and write down your invitation manually.